You must verify the email address for this account before you can log in. Please click the email verification link that was sent to your email address. Click here to resend the email. Your account has been suspended. Please contact support at 1-855-4-BVAULT to reactivate your account. “Physical silver prices in U.S. dollar terms will continue to rise this month reflecting a general concern of price inflation exceeding the increase in interest rates,” said Blanchard. 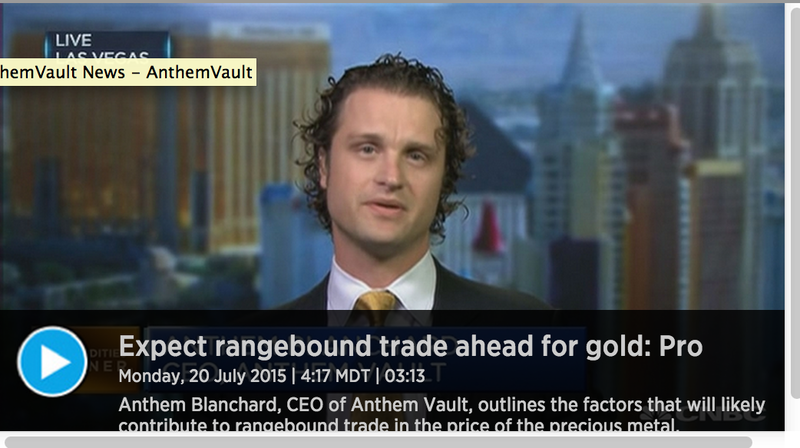 It’s time to turn to gold, according to Anthem Blanchard, CEO of Anthem Vault. He thinks the precious metal’s rally still has room to run. 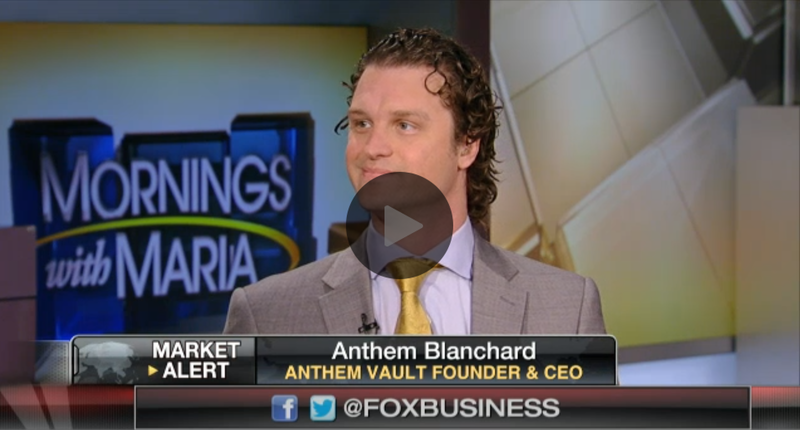 Anthem sits down with JD Berr to discuss gold, digital gold, and his 'unusual' name. Check out the interview on Soundcloud here. "Gold is up on increased credit risk and on China," said Anthem Blanchard, chief executive of Anthem Vault, precious metals dealer in Las Vegas, Nevada. "When you have a huge exit out of Chinese stock markets and all that value being sold, it makes a lot of sense that a lot of value is going to go to gold." Bullion prices came off their highs as oil futures turned negative and the U.S. dollar extended gains in volatile dealings. "Las Vegas-based Anthem Vault proposed “multiple vaulting locations throughout Texas to enable all Texans access to their bullion within a reasonable distance from their homes.” The company also offered to set up a network of “coin shops and retail storefronts” to accept deposits on behalf of the state depository." Todd spent some time speaking with CEO, Anthem Blanchard, on the future of digital gold and gold as a long term investment. The event was Liberty Fest 2015 - a place where some of the top activists and journalists in the liberty movement come together to discuss strategy and current events. Gold, Government, and Gary Johnson covers the event and the writer's interactions with Anthem Vault. Mornings with Maria - Gold Prices Headed Higher? 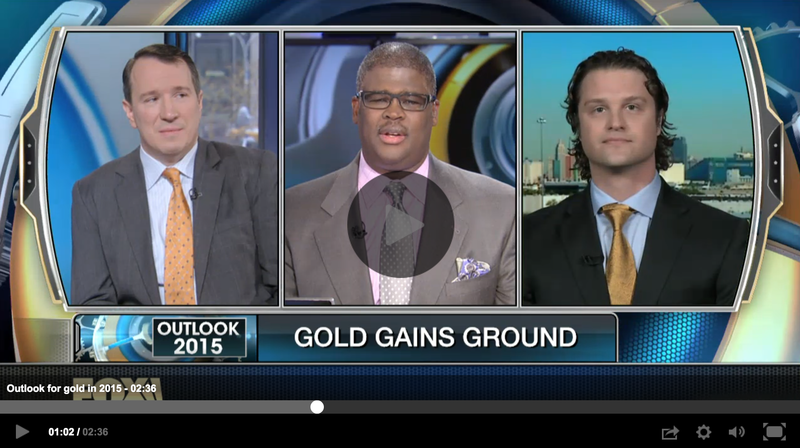 Anthem Blanchard appeared on Mornings with Maria, bullish on gold's future. He stated he sees gold hitting $3,000 or higher in the next few years. If you have been a customer with Anthem Vault in the past, we'd love to have you contribute a review. Thanks for your continued patronage in helping us achieve an A+ rating. "Activity on Chinese exchanges has jumped. Trading in commodities such as steel, zinc and aluminum drove volumes on the Shanghai Futures Exchange up 31% last year from 2013, according to the Futures Industry Magazine, a trade publication. Gold volumes on the Shanghai Gold Exchange rose 44% year-on-year in July, to 316 tons, precious metals’ dealer Anthem Vault said." 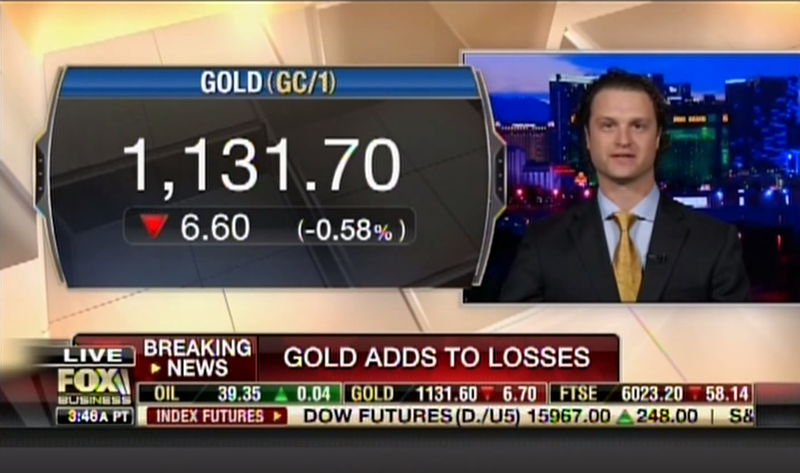 CNBC World Hosts Anthem Blanchard as they discuss rangebound trade for gold, after gold hits 5-year low. Anthem Blanchard shared an interview with Ben Swann of the Truth in Media project to discuss HayekGold and the future that lies ahead of blockchain technologies. "We give the stability and trust of a thousand years of gold." Kerry Lutz, a long time friend of Anthem Vault, hosts Anthem Blanchard on his show to cover the latest project from Anthem Vault: HayekGold. The blockchain technology used to support HayekGold is discussed. "The network is incredibly resilient. That's why we are so excited about it." Thanks, Financial Survival Network for having us! 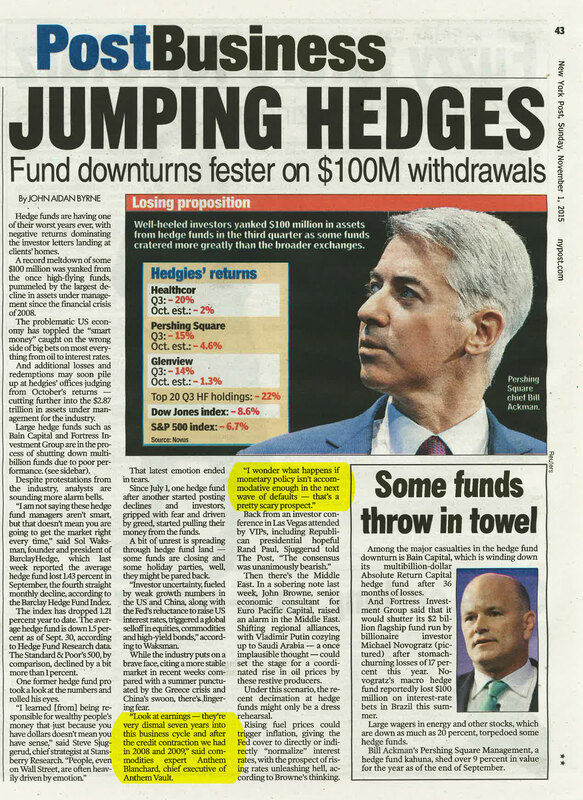 The news of The Hayek is spreading like wild fire and has caught the ear of one of the leading voices in the investment community, Thom Calandra. Thom recently released a blog post entitled It's that gold money thing in which he briefly covers Anthem Vault's future gold receipt system that will use the Bitcoin block chain. Anthem Blanchard, son of late gold aficionado and coin dealer James Blanchard III, gets ink London way. (Did you know I worked at the FT inLondre, TCR family?) I'll be chatting with Anthem later today about his approach to gold payment systems. I am a member of his Anthem Vault, yet must confess I have yet to use it. Fund your account already, Thom, and learn about one of the most efficient ways to buy, transport, and transact in gold! Today marks an exciting day for those of us here at Anthem Vault. We have been working hard for the release of The Hayek, that is scheduled to open for users at the end of this month. Today, Financial Times ran a story covering the background of The Hayek, and its inspirational roots within the Blanchard Family. Click here to read the article. Anthem Blanchard speaks with Angie Lau in Hong Kong - Bloomberg Asia "First Up"
Intl. Business Times - Where are all the Gold bugs? 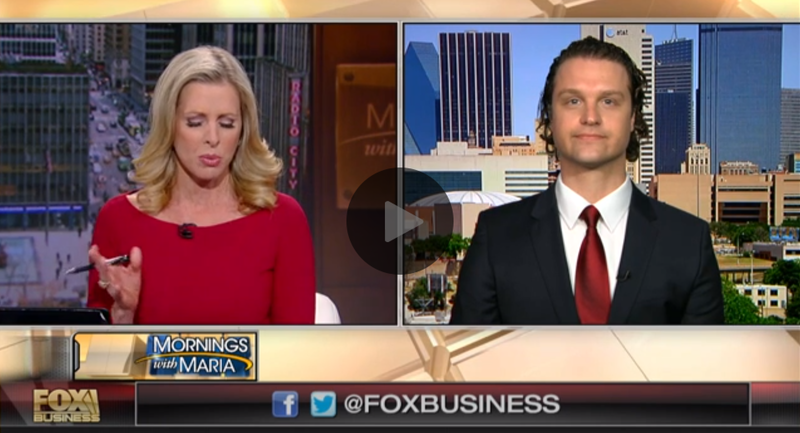 Zeb Eckert on Bloomberg Television's "First Up." Myra Saefong quotes Anthem Blanchard's comments on the difference between owning physical gold and silver and having funds held in a bank account. Continue reading? © 2019 Anthem Vault Inc. All rights reserved.